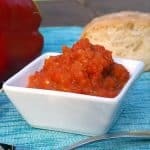 Our favorite homemade hot sauce recipe is easy to make with just a few ingredients, and you can adjust it exactly to your family’s preferences. Do you like it spicy, sweet and tart, or somewhere in between? 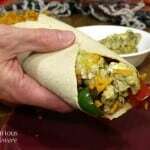 Hot sauce is a condiment we use a lot of in our house, but when we found out how easy it is to make at home, we were blown away. 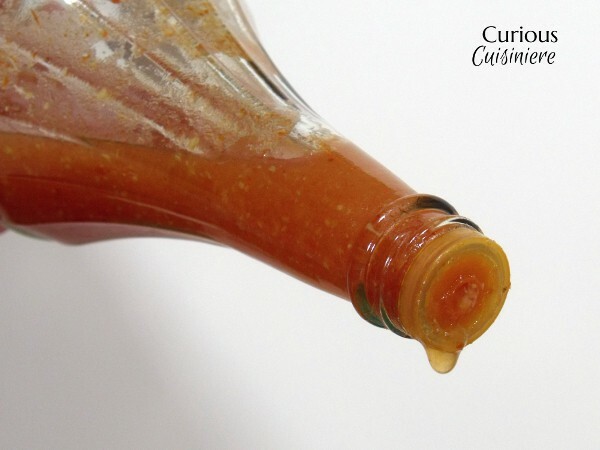 What Makes Hot Sauce Hot? Something called capsaicin is the element in chili peppers that gives us a burning sensation in any bodily tissue it comes in contact with. And, while we may not like it on our fingers as we’re chopping away, for some reason we love the sensation in our food. Hot sauces are typically made from three basic ingredients: chili peppers, vinegar, and salt. And, you can use any pepper you prefer. 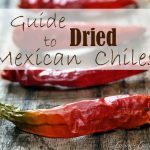 What Are The Best Peppers For Homemade Hot Sauce? Habaneros rank one of the hottest peppers on the Scoville scale (right up there with Scotch Bonnet). These are for if you like your sauce FIERY! Cayenne peppers are mid-range in heat (with Serranos), and are the most common pepper to be used for the dried red pepper spice or red pepper flakes. And, finally, Chipotles, which are smoke dried jalapenos that give excellent depth to your sauce. We grew jalapenos this past year, and find that they are the easiest for us to use, since we’re most familiar with their heat tendencies. When choosing a jalapeno, the smoother the skin, the milder it will be. Pick a jalapeno that is full of tan veins or scars, and you know you’re in for a pretty spicy pepper. 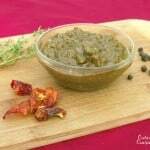 The longer the jalapeno stays on the vine, the more flavor it develops. This is why the more mature red jalapenos tend to have a sweeter flavor than green jalapenos. For our hot sauce, just one, veined, red jalapeno was perfect for the heat and color we wanted. Not too hot, but enough to give a kick that would intensify the more sauce we used. How hot do you like your sauce? 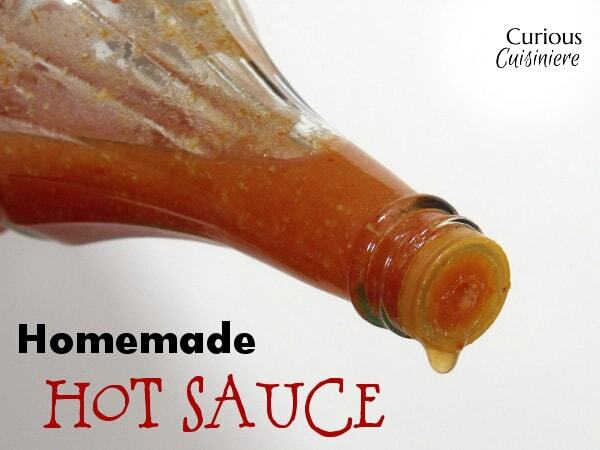 Our favorite homemade hot sauce recipe is easy to make with just a few ingredients, and you can adjust it exactly to your family's preferences. 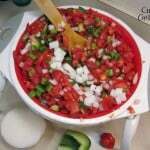 In a medium saucepan, combine pepper, onion, garlic, and water. Bring to a boil, and simmer, uncovered, for 20 min, until veggies are soft. Remove from heat and let mixture cool slightly. Place pepper mixture in the bowl of your food processor and process with vinegar until smooth. Sauce will keep in the refrigerator for up to 6 months. is there no salt in this recipe?! No, we don’t find we need it. But you can always put a pinch or two in if you like! 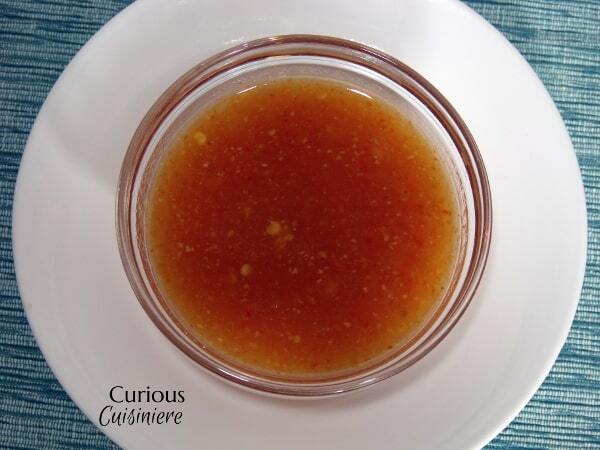 Do you add in the vinegar while blending or do you do it while cooking it? Hi Andrew, We add the vinegar while blending. 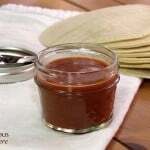 Cooking vinegar tends to take the bite out, so by adding the vinegar after the sauce has been cooked your hot sauce still has a nice vinegar tang. Enjoy! I have to say I never tried to make my own sauce. I always wanted to but couldnt find a good recipe. I used this, came out a bit thin added corn starch and its PERFECT has flavor like I never tasted before. 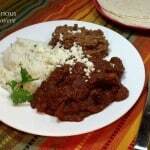 Used 2 habenero and 2 wiri wiri with the exact recipe. Omg wow thank you so much! So glad you enjoyed the hot sauce! Adding corn starch is a great idea to thicken it up slightly. Sounds like your sauce packs some heat! 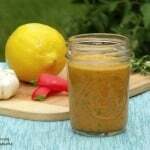 LOVE hot sauces, but never thoguht to try making my own. Thank you for making it doable!